Feb. Overview: Rent 2 New Premium Tanks and Earn a BIA Crew! With new Premium tanks to try. And blow enemy turrets through the sky! This month, partake in an XP conversion special and try out two great new Premium medium tanks: the M46 "Ripper" Patton KR, and the Panzer 58 Mutz (available in the Premium Shop Feb. 5). The Mutz even has a bear on it to compensate you for reading our unbear-ably bad poetry! How Do I Rent These Cool New Tanks? Play a battle in any tank and you'll unlock the Panzer 58 Mutz for 24 hours, once per account. Each day if you earn 15,000 XP over any number of battles in a vehicle of tier V or higher you'll unlock the M46 "Ripper" Patton KR for 24 hours. Each day if you earn 5,000 XP over any number of battles in the M46 "Ripper" Patton KR you'll unlock the Panzer 58 Mutz for 24 hours. Take out your Panzer 58 Mutz and you can earn an elite Crew for it who arrive ready to roll with the "Brothers in Arms" Perk! Put all your hard-earned XP to use and give your Crews an added boost! Conversion cannot be undone or refunded! Free XP that goes towards your Crews will go directly into a specific Crew member, and not the Crew as a whole. Play a battle in any tank. Earn 15,000 XP over any number of battles in a vehicle of tier V or higher. 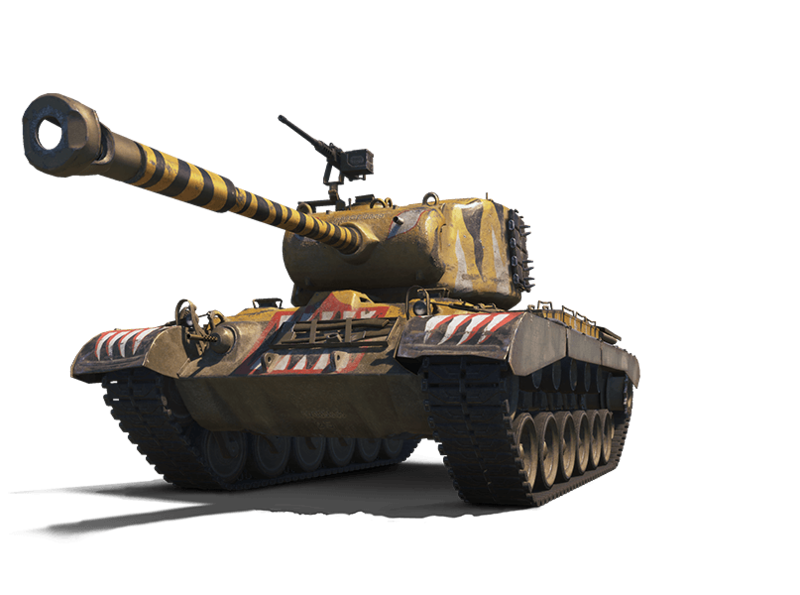 Earn 5,000 XP over any number of battles in the M46 "Ripper" Patton KR. Earn 10,000 XP over any number of battles in the Panzer 58 Mutz. Complete "Earn Mutz BIA Commander -- Need a Panzer Mutz." Deal 35,000 damage to enemy vehicles over any number of battles in the Panzer 58 Mutz. Must complete "Earn Mutz BIA Commander -- Need a Panzer Mutz"
Complete "Earn Mutz BIA Gunner -- Need a Panzer Mutz." Earn 50,000 XP over any number of battles in the Panzer 58 Mutz. Must complete "Earn Mutz BIA Gunner -- Need a Panzer Mutz"
Complete "Earn Mutz BIA Driver -- Need a Panzer Mutz." Deal 100,000 damage to enemy vehicles over any number of battles in the Panzer 58 Mutz. Must complete "Earn Mutz BIA Driver -- Need a Panzer Mutz"
Brothers in Arms: This perk improves major qualifications and all skills for the entire Crew. The perk comes into effect after it reaches 100% for the entire Crew. The perk is more effective when combined with Improved Ventilation, Extra Combat Rations, Chocolate, Case of Cola, and Strong Coffee. Take home the new Premium medium tanks today! Panzer 58 Mutz Bundles Coming Soon! Our Premium Shop is undergoing maintenance from Feb. 9 03:20 PT / 06:20 ET to Feb. 10 03:20 PT / 06:20 ET -- these bundles will not be available during this time.